Legislative Voice: Promotes effective public policy, through its grassroots network, to create, protect and enhance property values. Our trade group is the collective voice that lobbies on critical Commercial Real Estate issues in the local, state, and national legislative forums. 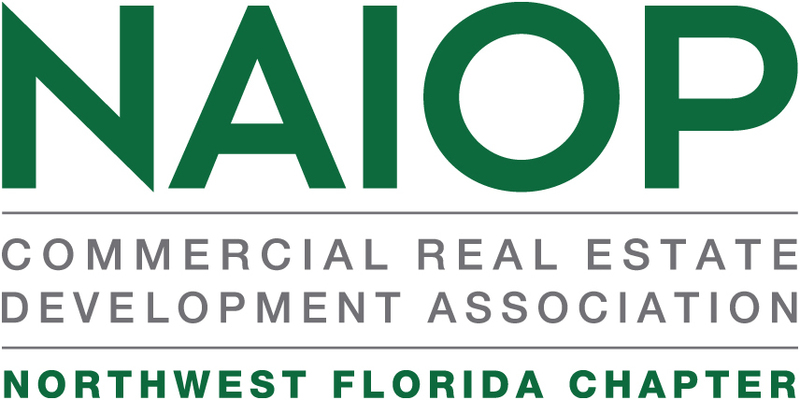 Continuing Education: NAIOP NE Florida provides opportunities for continuing education through events, online articles and access to the NAIOP Research Foundation so you can stay ahead of the competition. Networking and Business Opportunities: Providing commercial real estate events allow members to interact, build relationships and stay informed. A variety of programs and special events are planned throughout the year including monthly speakers and issue forums, quarterly networking events and a fall golf tournament. Developing Leaders Mentor Program: All Developing Leaders (age 35 and under) are paired with a Mentor and provided access to our Mentor Network which helps guide and promote our future leaders. Online Membership Directory - Fully searchable and user friendly, our online directory connects you with other members at the touch of a keystroke. Contact NAIOP's Member Center at 800-480-7332 or NAIOP NWFL Executive Director, Brandice Pelfrey, with questions or if you need assistance.